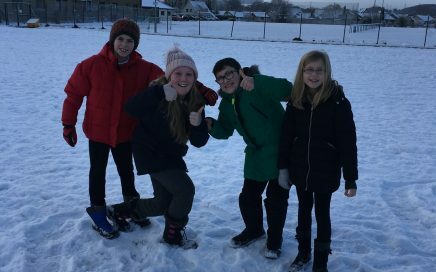 We had a great time creating ‘snow things’ with P7 for outdoor learning today. Great team work! Which creatures can you spot?! Outdoor Learning today ….can you guess what the creatures we have created are? Next Parent Council meeting is on Monday 22nd January at 7pm in the staffroom building. All welcome. Evening! A wee reminder that basketball restarts tomorrow afternoon with Adam. Multi sports club is on this afternoon ….in case anyone is wondering. Buses will run as normal at the end of the day.